Online lessons provide tremendous benefit to composers who live in smaller areas or simply don't have access to competent instruction in their city. By studying online, you can take your time working on your compositions, submit your work on a schedule that works for you and get more in-depth feedback than the typical in-person music composition lesson can provide. 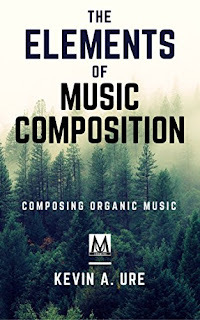 • Access to The Composers Studio: Composers have access to coursework, resources, feedback, and an areas to store and upload their compositions for review. 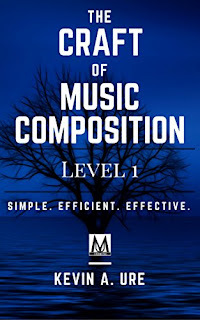 • Elements of Composition eBook: The Elements of Music Composition eBook goes over the basics of music composition, and it serves as a framework for the type of content composers should be studying. 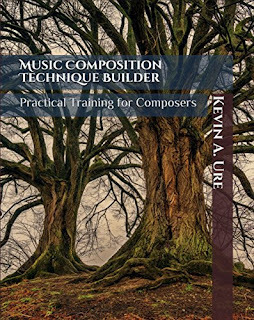 • Private Music Composition Courses: Courses are available on a case-by-case basis. Not all composers require courses along with private lessons, and will receive additional feedback instead of coursework. Advanced courses in counterpoint, theory, form and instrumentation are available only to students, but at an additional charge. • Intensive, Personalized Instruction: When you take online lessons, you get a written transcript of all feedback. Since the instruction is provided to students in written form, students have more opportunities to review and learn from the lesson. In contrast to a in-person lesson, written feedback is more effective as it allows the instructor to communicate in more specific terms. Students who take online lessons are able to use email to communicate with the instructor any time they wish. This eliminates the issue of having to wait until the next lesson to ask a question about a composition. The result is that students end up having more productive lessons and get more value for their money when they enroll in online music composition lessons. During the first month of lessons, students are given an introductory assignment. This assignment makes it possible for the instructor to quickly evaluate the student's current level of skill. Once a student completes the evaluation, they can continue on a normal schedule and take anywhere from one to four lessons per month. One of the advantages of online lessons is that students find they don't need as many lessons per month to get the same benefits. Most students find that it's only necessary to take two or three lessons per month. This makes it possible to save money and time, which can be used to further enhancing their skill by taking courses in music theory, counterpoint, form, instrumentation, and orchestration. Our studio offers many of these courses to help students get the most benefit from their time in our studio.